A selection of the top 6 best logic games for iPhone and iPad that will test your mind on issues of skill, perception, logic and speed in the most diverse challenges. 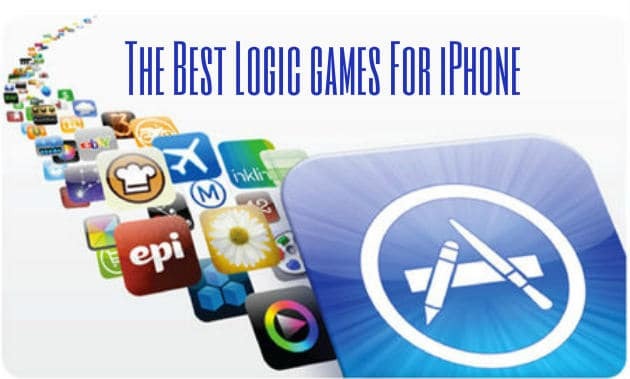 The logic games are among the types of games for iPhone most loved by users. Thankfully, the Apple App Store is full of logic games. The important thing is to have clear ideas about what we need! For this reason, we decided to make a selection that brings together only those who are really the best games of logic for iPhone and iPad. Our first choice is a game whose mechanics is close to the typical puzzle. You’ll have to channel water from dispatch to its mouth using all available pieces. So far so simple, but adding the difficulty of moving the cards around the stage, for which you must move the rest, which at times will not be particularly easy. For those who want to stay on and take a nice classic sudoku always on the phone, this app is a must-have. Very interesting graphics, animations, sounds and effects, online ranking, four different playing levels, Sudoku is one of the best titles dedicated to this hobby. If you are of those who do not go to the beach without their sudoku, this app is a must-have. Music is poetry, music is life. With this app, the music is also fun! This minimalist puzzle offers several game modes and allows you to use the songs of your own playlist, so that the gaming experience becomes very personal! “DO NOT TOUCH THE WHITE TILES” is the only rule. It sounds simple, right? Are you feeling brave and adventurers? Solve the mystery of the post-apocalyptic world and discover the reason for the disappearance of a prominent journalist through the gaps and weird corridors of an abandoned city. The soundtrack is perfectly suited to the atmosphere. The logic mini-games will not disappoint, in fact, will make you squeeze your brains! Where’s My Water? is a game that provides a set of high quality graphics and a lot of fun. Your mission is to get your protagonist the coveted water for a good shower of. To do this you must make the water flow avoiding hazards and other liquid substances to get as much water as possible. It is a game that will test your strategic thinking with varying traffic puzzle difficulties. Here, you have to solve the traffic jams of cars moving one at a time and earning all the output. It is a game with lots of levels (more than 230 puzzles of increasing difficulty), fun sound effects and attractive graphics. These are some of the best game of logic for iPhone and iPad. Now, we want to hear from you. Please do share your favorite best logic or thinking games for iphone and other iOS devices. Thank you for reading.